America’s cookie dough obsession is at an all-time high. If you don’t believe me, Google “DŌ NYC.” Your screen will become inundated by pictures of this new cookie dough shop that functions just like an ice cream store, but with different flavors of cookie dough rather than ice cream. 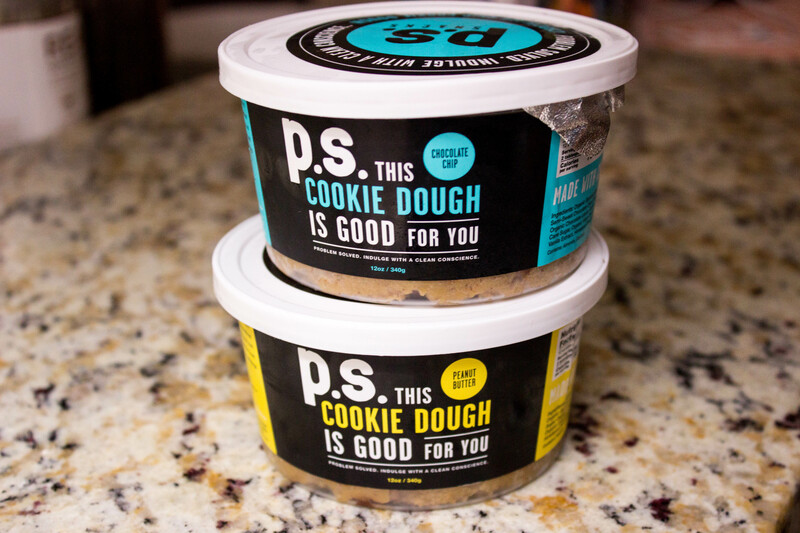 Of course, people were obsessed with cookie dough far before this shop opened in January 2017 but you could say this treat is experiencing a renaissance of sorts. But if you’re like me and can’t eat gluten, the novelty of cookie dough isn’t as attainable. Here’s where P.S. Snacks comes in. This company out of Washington, D.C. is creating edible cookie dough made with chickpeas, making the treat not only gluten-free but also fairly healthy to eat. When I say this, I swear I’m telling the truth – you would never know this stuff was made from chickpeas. I swear! 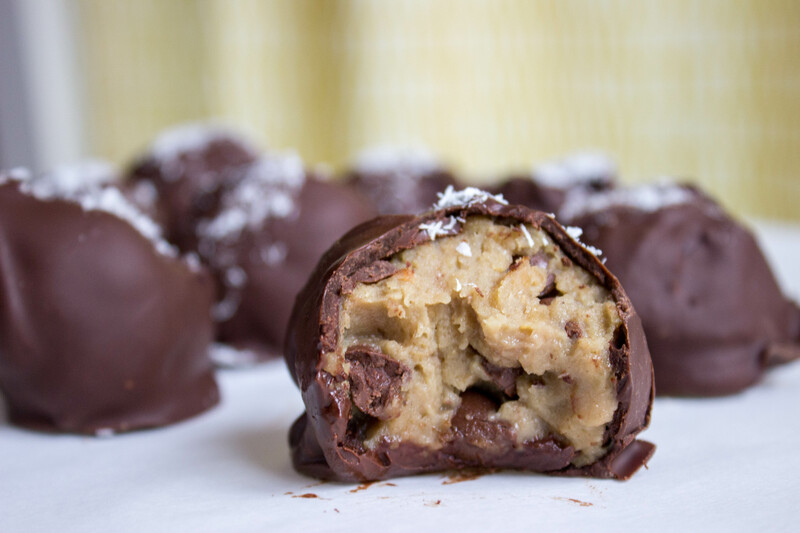 Because I’m obsessed with this stuff and I like using it to make even more awesome things, I present to you these Cookie Dough truffles. You won’t be able to stop eating them – that’s a promise. 2 tablespoons shredded coconut or whatever toppings you desire! 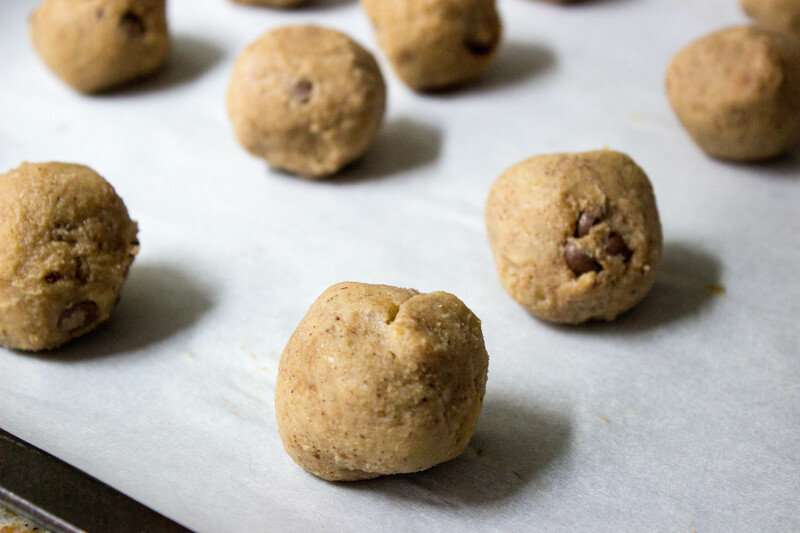 Take about 1 tablespoon of cookie dough and roll into a ball. Place on baking sheet. Put baking sheet in freezer for about 10-15 minutes. 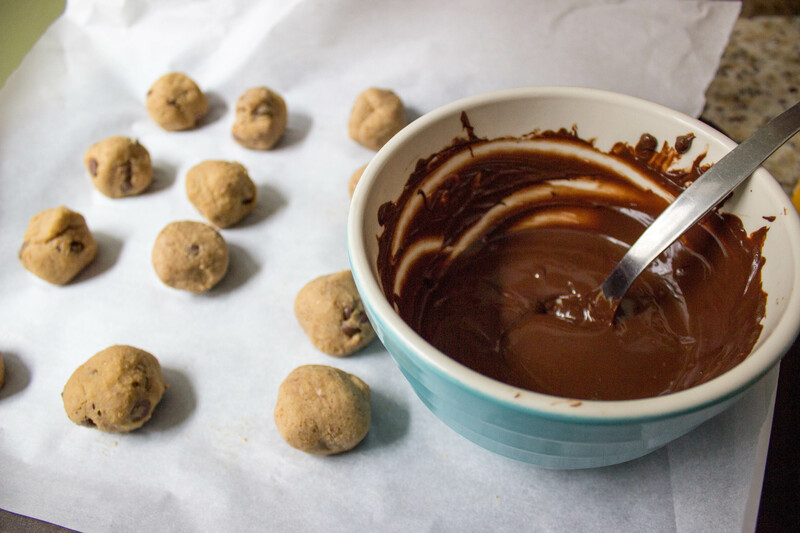 While your cookie dough balls are chilling, place chocolate chips in a microwave-safe bowl. Microwave chocolate chips for 30 seconds. Remove from microwave and stir. Repeat this process until all chocolate chips are melted. 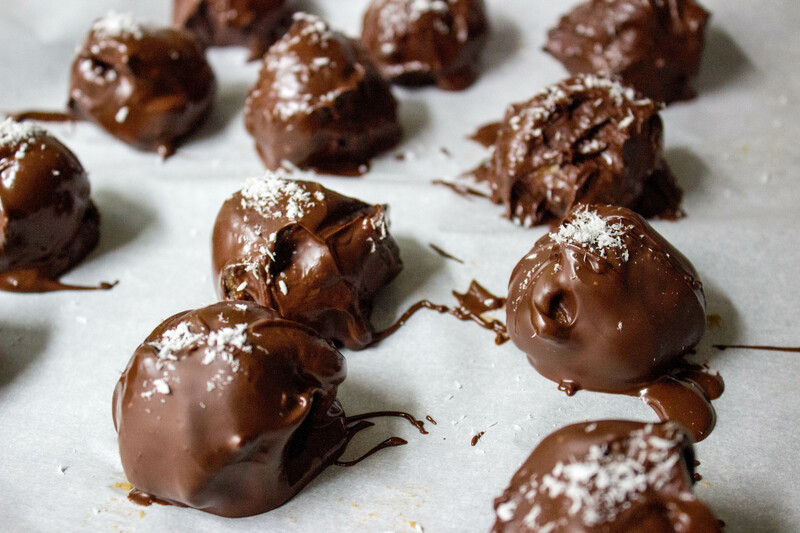 After your cookie dough balls have chilled, roll them in the melted chocolate and place back on baking sheet. Sprinkle with shredded coconut or any toppings you would like.